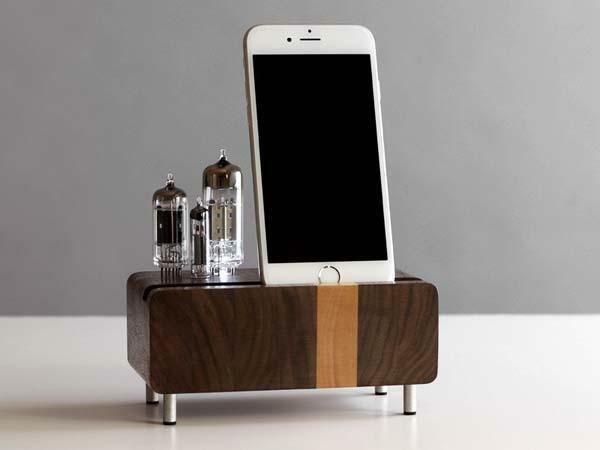 Old-school electron tunes and natural wood have been put together for a stylish way to charge your smartphone. If you like the idea, let’s go on checking the handmade charging station. This is a well-designed and handcrafted universal wooden charging station that works with iPhone 6/6 Plus, iPhone 5s/5/5c, iPhone 4/4S, Galaxy S3/S4, HTC One, Moto X, and many other smartphones with or without a slim case. 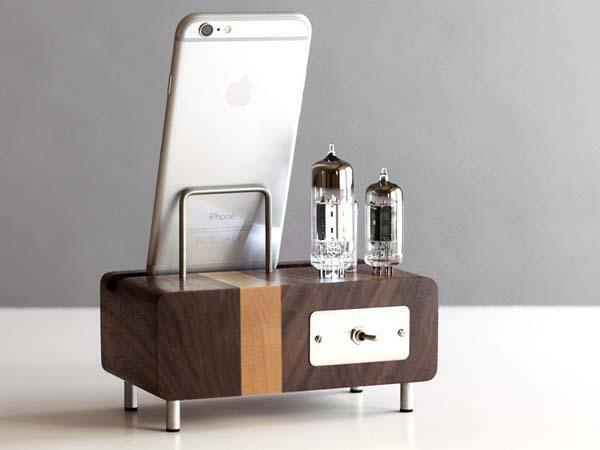 The docking station measures 5-1/2 x 3 x 5-1/2 inches and as we can see from the images, it sports a sleek and vintage design with three integrated electron tubes powered by 2 CR2032. There is a U-shaped steel bar with rubber bumper behind the custom designed groove in order to securely keep your smartphone in place for charging or syncing, moreover, four aluminum legs with foam feet not only ensures the dock steadily stands on your desk, but also adds stylish looks. The handmade charging station is priced at $125 USD. If you’re interested, jump to Etsy for more details.